When Janet Bannister met legendary venture capitalist Bob Kagle in 2000 while looking for a job in Silicon Valley, he told her that she hadn't experienced enough failure in her life. "He said, I think people learn a lot more from their failures than their successes," she says. Ms. Bannister had certainly had her share of successes. A prosperous teenaged entrepreneur from Brampton, Ont., she graduated top of her class at the University of Western Ontario's Ivey Business School, worked for Procter & Gamble and consulting firm McKinsey, and had twice won the Canadian national triathlon championship. 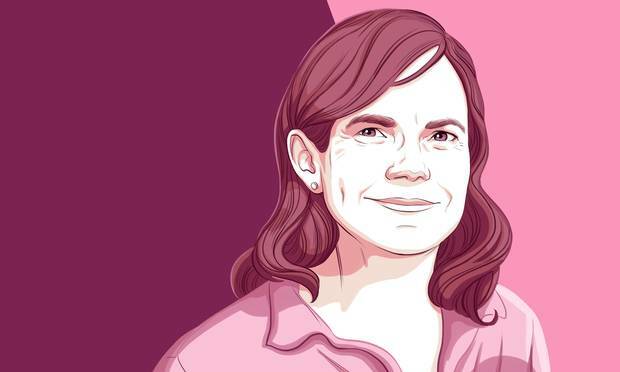 But her greatest career achievement still lay ahead: In 2005, Ms. Bannister launched one of Canada's most successful Internet brands: Kijiji, the online classified business owned by eBay. Since leaving three years later, Ms. Bannister has applied her experience to other companies, most recently as a venture capitalist helping Canadian startups grow into disruptive market players. And yet, Ms. Bannister does not come across as some corporate alpha warrior type as we sit for lunch at Mildred's Temple Kitchen, located in Liberty Village, a hip, gentrified warehouse neighbourhood in Toronto. Sporting a dark sweater draped over her shoulders and a Timex Iron Man Watch, the 44-year-old Ms. Bannister is a warm, engaging and energetic presence. She has come from delivering cookies to the new offices of Hubba, a hot startup that has built a platform for retailers to replenish merchandise from brand name suppliers, and which Real backed in an $11-million Series A venture financing last fall. "What could be better than seeing these guys succeed, right?" she says with unadulterated joy in her voice. Ms. Bannister is a trailblazer in many ways – an all-too-scarce senior female venture capitalist, builder of a successful online business in Canada and a relatively rare Canadian who gave up a career in Silicon Valley to return home. She bashfully deflects comments about her C.V.: When I say she's easy to describe – as "the person who invented Kijiji" – she manages only a quick "Yes, yes, thanks." Ms. Bannister grew up determined to keep up with her three older siblings but also to chart her own path. Her mother, a real estate agent, encouraged her children to be independent. Her father, an IBM salesman, gave his children "unconditional love and support," she says, as we dig into our meals – a roasted curried cauliflower salad for her and huevos rancheros for me. While other girls her age were into V.C. Andrews and Anne Rice, the 14-year-old Ms. Bannister read famed automobile executive Lee Iacocca's autobiography and decided she needed business experience. So her father helped Ms. Bannister write a business plan for a muffin operation; she costed out ingredients, researched flavours, learned how to prepare financial statements. Ms. Bannister's father built a special muffin carrier for her bicycle and helped write a sales script. The next summer she convinced 15 shops near her uptown Toronto home to stock her muffins. She would wake up at 1 a.m. to bake 25 to 30 dozen muffins and leave the kitchen spotless by 7 a.m., ready to set out. Later that summer Ms. Bannister worried she wouldn't reach her $2,000 profit goal for the season, so she started making lemon cakes too, and exceeded her goal by 20 per cent. Some customers wanted her to stay in business, but Grade 11 beckoned. Janet Bannister, general partner at Real Ventures, is seen in her Toronto home in August of 2015. Ms. Bannister studied business at Western, then landed a coveted brand manager job with Procter & Gamble, overseeing the Pampers, Cascade and Vicks brands in Canada. She left after four years to backpack solo across Southeast Asia, and landed at McKinsey in Toronto upon her return in 1997, staying three years before deciding she missed the entrepreneurial lifestyle. Ms. Bannister joined a Boston media streaming firm in 2000, and began scoping out opportunities in Silicon Valley. She studied up on the region's top venture capitalists, targeting those who had a similar background to hers. That led her to Mr. Kagle, a packaged goods and consulting veteran. "I thought, okay, maybe this guy will relate to me," she says. After peppering him with messages, Mr. Kagle, a backer and director of eBay, finally agreed to meet, and offered to have the web firm's CEO, Meg Whitman (now CEO of Hewlett Packard Enterprise Co.), call her, which she did the next day. Ms. Bannister joined eBay in 2001 and led the expansion of the firm's sales beyond its core collectibles categories into general lines such as clothing, home and gardening, and books. "The world was our oyster" as Ms. Bannister and her team tripled sales annually and explored expansion opportunities, recalls John McDonald, who worked with her at the time and has remained a friend. But Ms. Bannister missed her friends and family and asked to transfer to Toronto. The job she took in 2003 was a step down – running the eBay.ca website – "but I thought, 'whatever, it's my ticket home,'" she says. After benchmarking the Canadian operation, she realized something odd: While Canadians visited eBay at least as much as customers in other markets, they only followed through with transactions half as often. Rather than try to adapt Canadians to eBay, she surmised it was better to adapt eBay to the local preferences. "Canadians spend a ton of time online … but they prefer to transact offline," she says. She proposed launching a classified ad listings site in Canada. Craigslist dominated in the U.S. but its Canadian operation was not as developed. Ebay's brass were skeptical, but trusted Ms. Bannister, giving her approval, with scant resources but a lot of freedom. "If I hadn't previously worked in California and didn't have those personal relationships [or] trust, then I don't think it would have gone through," she says. Ms. Bannister launched Kijiji (the name, imposed from above against her initial objections, is Swahili for "village") first in French in Quebec in February, 2005, where Craigslist had little presence. Ms. Bannister led a small team and did much of the work herself, even buying keyword advertising on her credit card. She went on maternity leave that April, and when she returned in November, the business was doing so well it launched nationwide. She was promoted to run Kijiji's international expansion, and it has since moved into more than 30 countries. Today, Kijiji Canada is the top classified ad site in Canada, drawing more than 11 million visitors monthly. Ms. Bannister decided in 2008 to leave Kijiji to spend time with her son before he started school. "I really love my work, but I'm also extremely close to my son, and that's a priority." After six months, she began consulting, taking on projects for Starbucks, Indigo and ING Direct, among others. "I realized that I loved helping companies," she says. Place of birth: Brampton, Ont. Family: Married to Rob Rutledge, a professional coach, for 14 years. They have a 10-year-old son named Andy. Preferred mode of transportation: My road bike, preferably on quiet country roads. Favourite activity: Going for a long hike with my husband, son and our golden retriever, Windsor. Favourite vacation: Rustic safari in Botswana. Guilty pleasure: Dark chocolate with nuts. Ms. Bannister is an enthusiastic story teller, and she has pushed her half-eaten salad off to the side. She describes her own voice as loud, which I don't find to be the case, but says her son, now 10, sometimes will say "Mommy, Shh! You're talking too loudly." "And I say, 'Oh sorry, Andy, I'm just excited!,' " she says, laughing. After three years of consulting, Ms. Bannister decided she needed fresh hands-on experience to stay relevant. She worked for two years as CEO of online fashion startup the Coveteur before the principals of Real Ventures, a nine-year-old Montreal early-stage venture capital firm, reached out in 2014. As a venture capitalist, Ms. Bannister has applied the same discipline and drive she showed as an executive and athlete. She wakes up daily before 5 a.m. and works out for 60 to 90 minutes, and "her e-mail is the very first e-mail I get in the morning," says Aran Hamilton, CEO of Vantage Analytics, a company she backed in a $1.1-million financing in 2014. Ms. Bannister has quickly established herself as a tough, driven, analytical but also empathetic investor and always-available adviser. "My sense is that a lot of VCs try to command and control their investee companies," Mr. Hamilton says. "Janet is different… she always conveys her respect and appreciation for us and our vision. Even when we need coaching or nudging, it's done in a constructive, positive way." After Dream Payments, one of her companies, launched its hand-held payment processing technology for retailers last year, Ms. Bannister bought the product and did sample transactions so she could provide constructive feedback. "She truly deeply cares about the business, and more important, she truly cares about the founder that she's backing," says Dream CEO Brent Ho-Young. "She asks you the hard questions, but she's there to support you." When Mr. Ho-Young's wife took ill last year, Ms. Bannister regularly asked how she and their young daughters were doing and offered that he could take some time off. "She doesn't need to do that, and most others haven't," Mr. Ho-Young says. "She brings a more humane approach"
"I feel extremely lucky to be working with [entrepreneurs] and I feel it's my mandate to help them be successful in any way," Ms. Bannister says. "If that means just getting out of the way, that's good, and if it means me getting my hands dirty, that's okay. If it means just sitting down and having coffee while they complain … that's fine too – whatever I can do to help them be successful."